This hasn’t gotten a lot of attention yet, but the attention to detail in the upcoming Agents of Yesterday expansion has many Tailor fans excited. How you say? 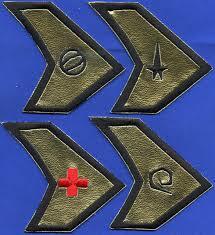 Imagine if each class of ship had their own command badges 😉 They do. 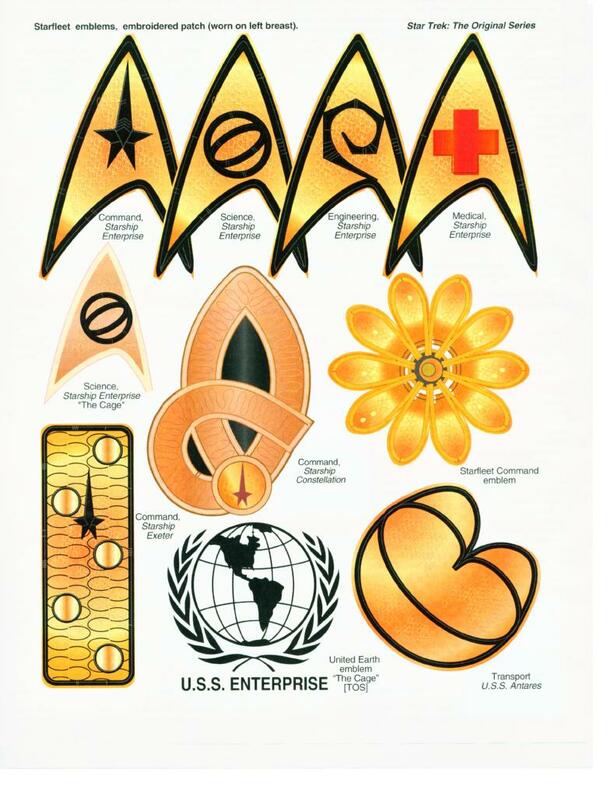 In the original series, each Constitution-class starship had it’s own style of uniform badge. 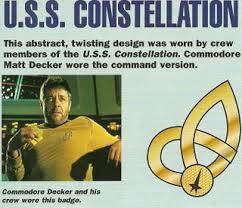 Similar to the way modern military ships have unique identifiers, Star Trek embraced this style of identification. 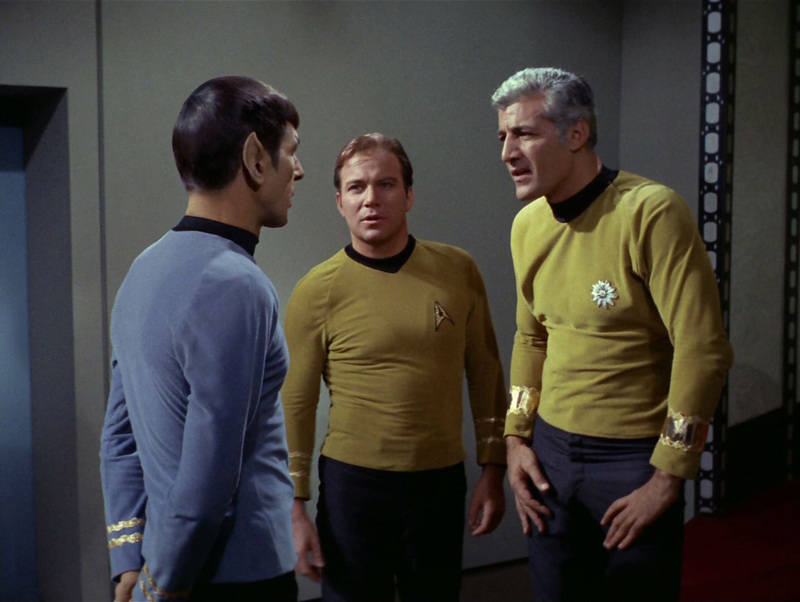 While in subsequent series this became simplified with the classic chevron, the original series embraced the differences adding a depth of detail rarely seen on television in the 1960’s, and was all but ignored in the 1980’s. 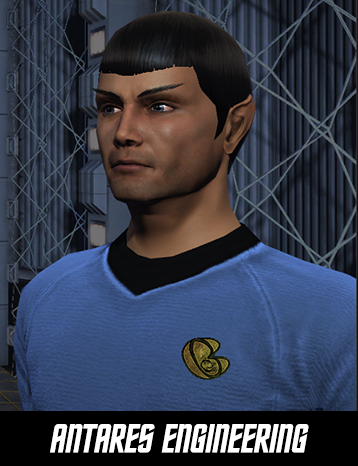 Most games would over look this level of detail, but given the 50 year history of the game and the design skills of one Thomas Marrone (and the persistence of a team who look to squeeze every possible detail), it was safe to say the attention to detail in Star Trek Online’s Agents of Yesterday that they’d get this right going out the gate. While I’m flattered by the credit for this going to me, in actuality I didn’t have much to do with these badges. Al Rivera (Geko) and out art lead, Samuel Wall, felt it was important to have this variety in the game. 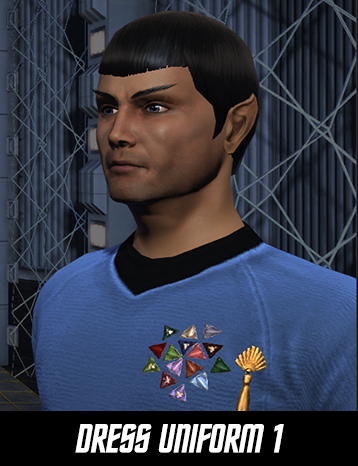 The new, non-canon badges were designed by STO artist David Lopez, and implemented by STO lead character artist Ian Castaneda. My contribution was re-creating the Starfleet Command starburst badge, but those guys did everything else! Beyond that, the individual badges have been the realm of fan speculation over the years. 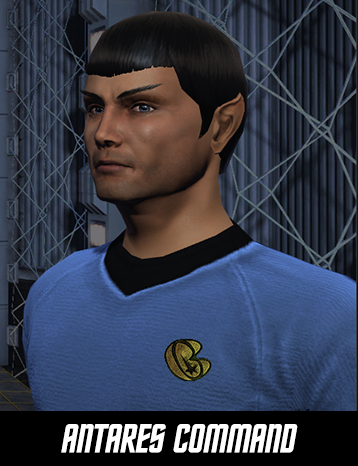 While we can assume that every ship had it’s own design (ala NASA), Star Trek Online has simplified it somewhat with 16 base designs, each with 5 departments, plus 6 additional designs seen in the series. 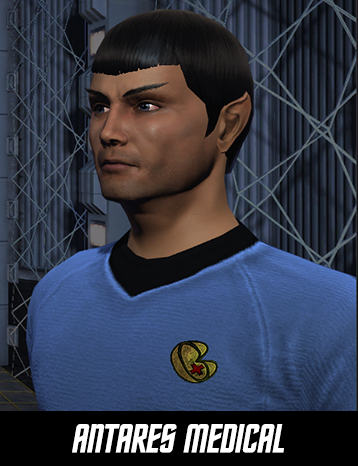 In the original series we had 4 departments – Command, Security (Tactical), Science (Medical) and Engineering. 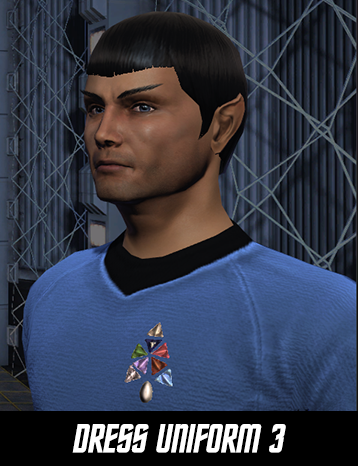 With the arrival of Agents of Yesterday Star Trek Online is adding a 5th classification – Temporal – for these badges. While the colors have changed in later series, the core has remained the same. 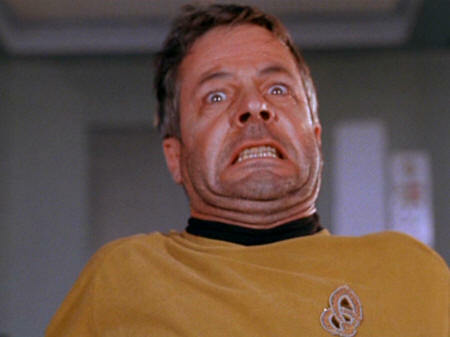 I’m curious how TNG and DS9 series might have handled Temporal – but I digress. So sixteen base designs with five versions each – 80 base design with 6 optional designs. Yeesh. Apparently there were more in the design chain. I have to give the design department credit for even embracing/attempting this. 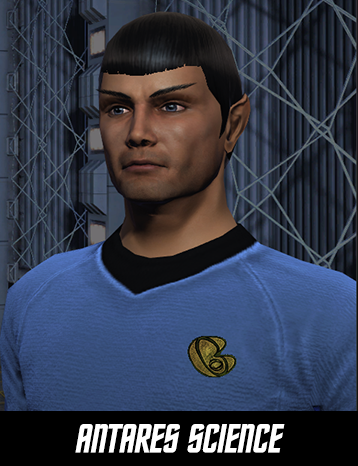 Currently on Tribble – all of these are now available for you to choose from. Pretty damn cool. 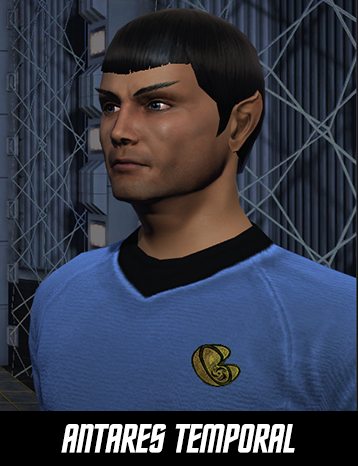 For the purposes of this blog post I did not screen shot all 86 (in all honesty I did try to get STO to release these in advance, but that proved to be too time consuming) so I focused on an example for the primary 5 , and an example of the remaining 15 master styles and 6 single styles. Phew! 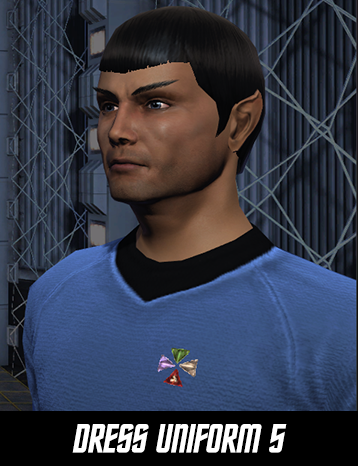 Please excuse the Vulcan model – he was extremely fidgety and I’m beginning to suspect he was an Undine spy. Daedalus was, in Greek mythology, the craftsman who designed the labyrinth for the king of Crete which contained the minotaur. He and his son, Icarus, were imprisoned to prevent anyone else knowing its secrets; they famously escaped using wings of feathers and wax, but Icarus flew too close to the sun with his. The wax was melted, and he fell to the water below and drowned. In his grief, Daedalus threw himself in after and was drowned as well. Hence, two hammers for a legendary craftsman. Possible origin – a knot of three eternity symbols? The IDIC is for the ship of all Vulcans who Spock felt die to the bug space virus if I remember right. THIS is why I love this community. 😉 Thanks! Daedalus, of Greek mythic fame, was an architect and a craftsman. He was basically a mythical Leonardo Da Vinci, always drafting and designing architectural and technological marvels, to the point that his client King Minos of Crete held him prisoner so that he would work only for him. Which is why he devised a set of wings to allow him and his son Icarus to escape by air. . .
Well, digression aside, a hammer would do well to represent him. 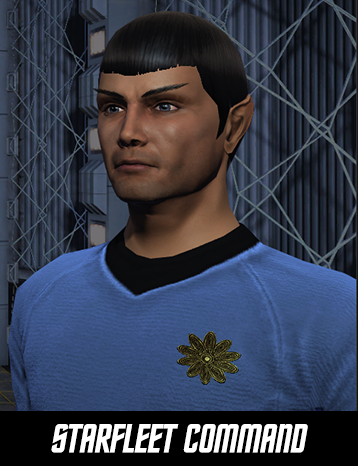 I can finally give my Fleet Admiral the Starfleet Command flash instead of him being the Fleet Admiral of the Enterprise. This makes me happy. Previous Previous post: Future Lockbox weapons to become ACCOUNT Bound when equipped. 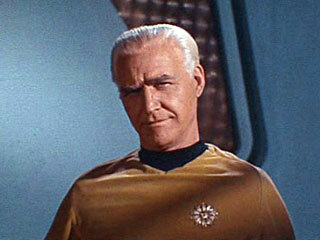 Next Next post: Star Trek Official Fan Film Rules Released, thanks Axanar!